This month, the INK Bloggers are writing about life-changing non-fiction. Some have featured non-fiction that changed their own lives. I cannot recollect any specific titles that molded my young mind so potently as to be "life-changing." Yet I think non-fiction did influence my childhood and the non-fiction I read as a child influenced my adulthood. 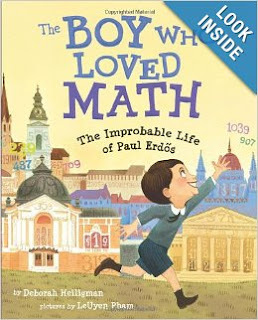 In my author visits at schools, I show children how some of the books I now write are outgrowths of the questions I asked as a curious child, and the answers I found (or didn't find but tried). I tell them, "Wondering is wonderful." For me, the process of seeking answers has usually involved books. I aspire to write books that spark children's imaginations yet the books I remember devouring to satisfy my curiosities were often mundane. Reference books. Even encyclopedias! Imagine!! If a reader told me now that a book I'd written reminded him of an encyclopedia, it would ruin my day. Yet, I have fond memories of poring over World Book Encyclopedia to immerse myself in facts that some might consider dry. But are facts alone dry? In a way, this is an essential question of non-fiction. I would say this: if the reader has no previous investment in a subject, bushels full of facts are dry as dust. But if the subject already thrives in the mind of the reader, the facts can take on a life of their own and enrich the reader's life beyond measure. "If you scurried like a spider..."
I remember particularly well my fascination with facts about animals and stars. Once learned, the speed of a spider and the distance to Alpha Proxima lived vividly in my mind. 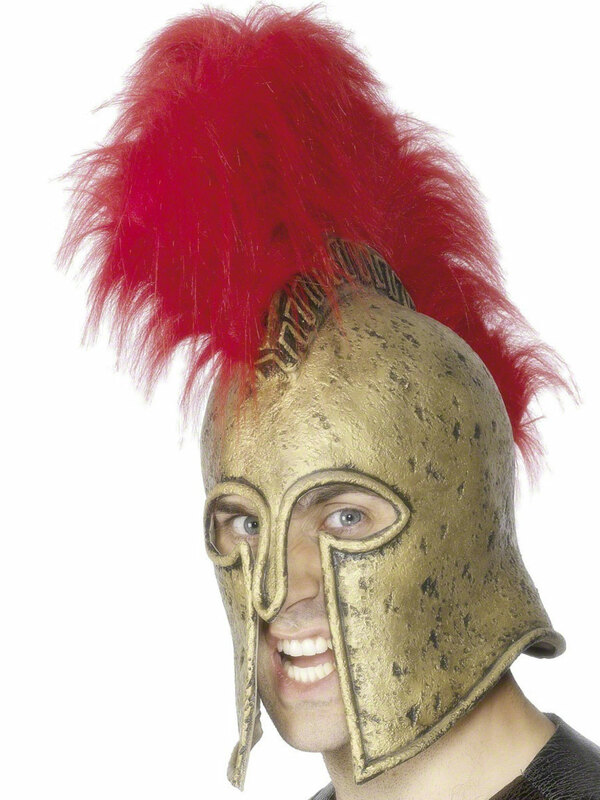 Mentally armed with them, I could scurry down the field and rocket into space. Years later, they both figured into books I wrote. I'm still in favor of lighting the fires but it is worth considering that sometimes the predisposition of the reader allows the facts alone to be the tinder for the blaze. I am seeing now that the question is: how does the reader get such a predisposition? Sometimes it is from books of the "ignites the imagination" category. Other times... who knows? So, for readers, teachers and authors, I say we're not looking for "the facts, and just the facts, ma'am," but please, let's not forget the facts. They can be tinder for those fires. Alex Grant, the young man pictured here, is the subject of this post. We met early on a chilly February morning on a footbridge in the Boyce Thompson Arboretum, 60 mile east of Phoenix. We were among a dozen or so birding enthusiasts who had gathered for the weekly guided bird walk sponsored by the Arboretum. Alex and I discussed two related birds, initially indistinguishable to my eyes. Both were wrens, small songbirds with barred tails and thin bills. 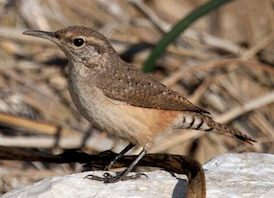 Binoculars lifted, Alex pointed out the differences: the canyon wren had more distinct coloration — reddish brown wings and back, and a bright white throat, compared with the paler, grayish brown rock wren whose throat lacked the lustrous white. Alex spoke eagerly, with the facts at his command and a confidence that belied his age: 15. Very soon he might be leading walks like this, as his reputation had reached the Arboretum and a ranger had invited him to become a volunteer bird guide — the Arboretum's youngest by far. He and his parents had come on this walk while he considered the offer. Later, as the sun finally warmed the air enough for us to shed an outer layer or two, I asked Alex’s mother, Sonja Grant, about her son’s zeal for birds. It had begun during the summer between first and second grade. The catalyst was a book called Birds of the World. Alex had checked it out of the library and it had changed his life. True, he had already shown a keen interest in nature, and he'd owned books about birds as well as sharks, insects and other taxa. He’d read some of them so many times that their pages had fallen out. But with its dazzling photos and engaging text, Birds of the World had taken Alex to a new level of interest that he calls “a deep passion.” Before long, the passion spread to both of his parents, and the family had a new hobby. 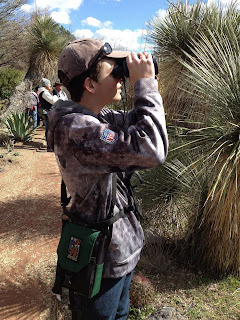 School vacations became extended birding outings in Arizona, California, Texas and Maine, the trips oriented around an important statistic—the number of species seen between Jan. 1 and Dec. 31 of the year. That number had reached 306 in 2012. Birders refer to a year in which they keep count as "a big year"; the Grants decided to do another big year in 2013, and by mid-May their list was up to 263 species. Finishing his freshman year at Gilbert High School in Gilbert, AZ, Alex is homing in on a college education and career in ornithology. And it all started with a non-fiction book. I hope all of you have been following along this month as the INK authors share the Life-changing Nonfiction from their childhood. While reading about each author’s background, I had to dig through the cobwebs to recall my own early nonfiction experiences. 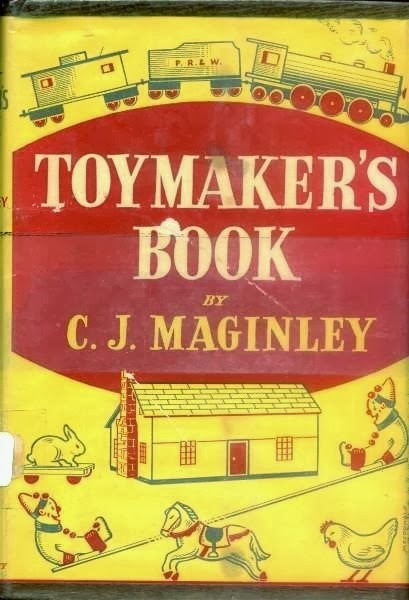 It found it fascinating that, as adults, all the INK blog authors now write about areas that we were drawn to as children. During my author presentations, I share with the students my childhood and how I loved making things. I grew up sewing stuffed animals for my brother, designing Barbie clothes, making puppets, putting on shows and creating anything. I believed that every child did this. Fast forward several years where I found myself working at one of the largest toy companies in the world designing stuffed toys --- with my office right next to all the Barbie designers. Thing is, I also would secretly write stories in my bedroom closet. I loved to read. Each week, my mom would drop me off at the Mount Washington Public Library, while she shopped at the local Krogers. By the time she came back to pick me up, I had a nice selection of titles to take home and explore. To be honest, I was fascinated by the little pear animals and the ice cream cones with sprinkles. 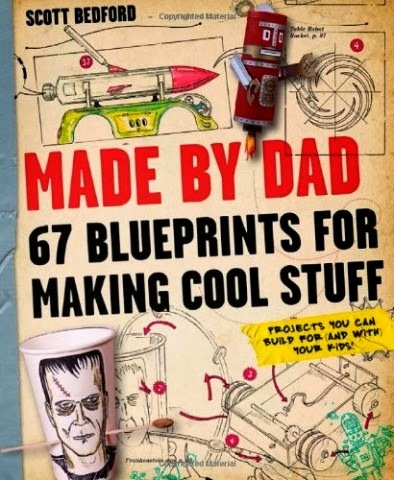 Nowadays, parents and kids can get a cornucopia of craft and recipe ideas on the internet. My daughter spends hours looking up things to bake and make on Pinterest. 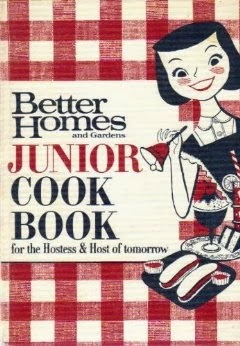 In fact, after searching everywhere for the vintage books that I listed above, my best source was Pinterest. 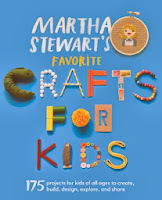 Today, most publishers have craft books that are very focused on one particular craft, such as, popsicle stick characters or rubber band bracelets. 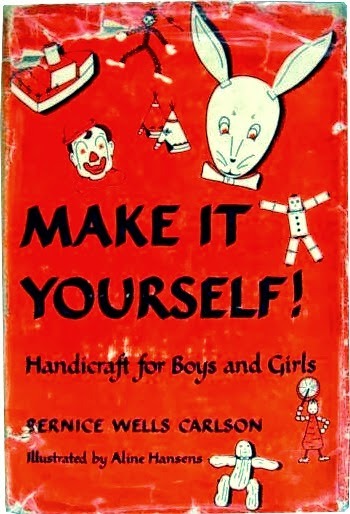 Toy and craft companies create kits where children make what is in the kit with all the materials provided for the project. There seems to be a connection missing somewhere. The creative component has been left out of the equation. Where is the experimentation? Where are the mistakes? Where is the trying of new ideas? For several years, I have taught a Winter After School Enrichment class called Summer Arts and Crafts. Everything we make incorporates recycled items. Everything the students create is very open ended. I explain all the many ways that they can create projects using other recyclable materials from around their own homes. 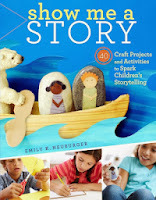 The current craft nonfiction books that children can choose are well and good. I just think that there should be a few more books that lead students to think about what they want to create, rather than just telling them what to make. I wasn't a "normal" girl. I loved frogs instead of dolls and golden-colored butterflies instead of pink ruffles. As a matter of fact, I actively disliked dolls and abhorred anything in pink--for me, pink meant prissy, and that was the farthest thing from what I was. I spent my summer days zipping around on my bike looking for adventure or trying to keep up with my older brother and the other boys and stuck my nose up at the neighbor girls carefully rolling a baby carriage down the sidewalk with their dollies inside. But a kid can't be outside every day in Minnesota, where I lived until the age of 9--it's often too cold or too wet or too snowy--so books had a big role in my life. 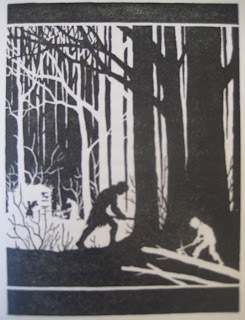 I wasn't interested in made-up stories, unless they were about a horse, a dog, or a wolf and sounded "real." For me, books meant a way to find out about the amazing world of nature. After all, I wasn't in a position to head off to what is now called the rain forest but then was the "jungle," a much more evocative term, to pursue 25-foot long anacondas or bizarre frogs that carry their eggs on their backs, but I could read about them, thanks to great adventurers like Roy Chapman Andrews. 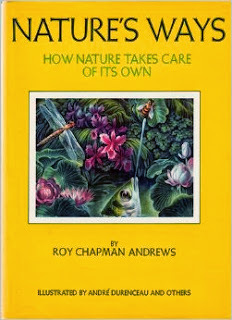 Perhaps my very most favorite and inspiring book was "Nature's Ways: How Nature Takes Care of its Own," by Roy Chapman Andrews himself. Andrews was a well-known public figure at the time who travelled all over the world but was especially famous for his dinosaur discoveries in Mongolia and the Gobi Desert. "Nature's Ways," however, was quite a different sort of book. In a way, it was very modern in format, with each spread featuring an amazing example of how nature works, accompanied by lovely color art. Unfortunately, my childhood books got lost along the many moves of myself and my parents, but I remember some of the most amazing stories in that book. For example, Andrews described the archer fish (on the cover of the book), a creature with two parts to its eyes, a lower section adapted to seeing underwater, and an upper section that could see above water. These fish lurk at the surface. When an archer fish spots an insect close by, it shoots a blast of water right at it that wets the prey, causing it to fall into the water. Gulp and it's gone! What a great story! Then there's the yucca moth and the yucca plant, perfectly adapted to one another. The adult moth drinks nectar from the yucca blossoms, helping to pollinate them. It then lays its eggs on the plant, and the caterpillars feed on the yucca. What a beautiful synergy. My love of such stories from nature has helped me in my writing as an adult. I'm always on the lookout for the special "gee whiz" elements of a topic, knowing that there will always be kids like me out there, who can be blown away by nature's adaptations. Nature's wonders are all around us, not only in far away places, and when children can learn about the amazing life that surrounds them every day, they can be engaged in their own lives and will be motivated to read and to have fun learning. 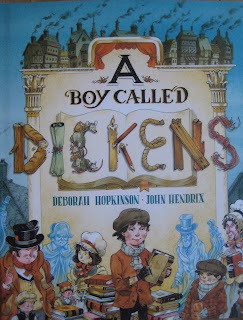 This month INK bloggers are discussing favorite books from the past and present. 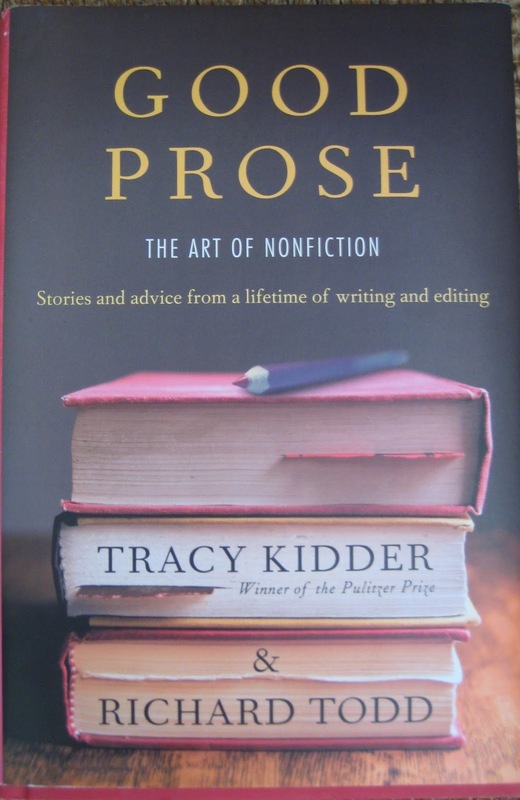 First a present favorite…..
Good Prose: The Art of Nonfiction: Stories and advice from a lifetime of writing and editing by Tracy Kidder & Richard Todd. Kidder is one of my favorite authors; writers’ creative processes fascinate me; and learning how writers and editors work together is my version of People magazine. They had me at Good. Kidder and Todd have a relationship that most writers can only fantasize about. They work together from vague idea through countless drafts to polished manuscript. Each takes a turn in Good Prose to describe how that works. Kidder describes his problems with story, point of view, structure, and more, in his own books -- and his ways out of them. (His Vietnam memoir My Detachment, took him fifteen years to complete.) I noted dozens and dozens of quotes to use for this blog, but there’s too much good stuff to choose even one. Nonfiction writers and fans of Tracy Kidder: READ THIS BOOK! Though I was an insatiable reader as a child, I mostly read fiction. 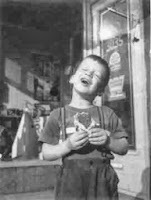 The only nonfiction books I remember devouring were the orange-covered biographies, “The Childhood of Famous American Series” from Bobbs-Merrill. Today these would be called historical fiction, with their invented incidents and dialogue. 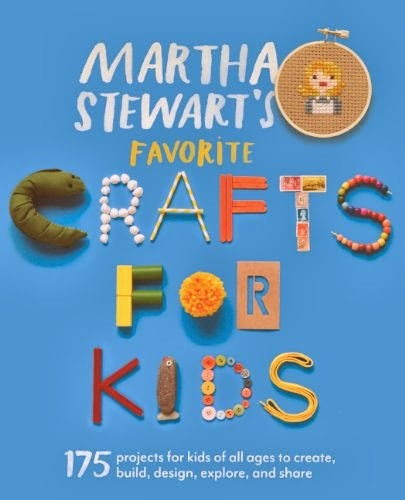 Footnote: Bobbs-Merrill is long gone, but after many mergers and buyouts, “The Childhood of Famous American Series” is still published by Simon & Schuster, with new and old titles. Perhaps those orange biographies did leave their mark. In the biographies I write, I try to include as many childhood experiences as possible. 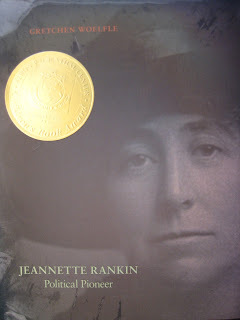 I was lucky with Jeannette Rankin: Political Pioneer, because she gave long interviews to the Women’s Oral History Project at UC Berkeley, telling many stories of her growing-up years. I had much less information on Mercy Otis Warren’s girlhood, but I used what I had – her love of learning, reading, and writing – as the narrative arc for Write On Mercy! The Secret Life of Mercy Otis Warren. 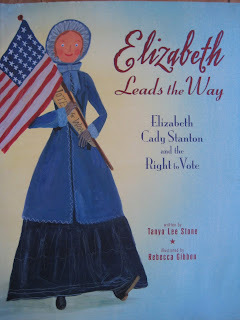 Picture book biographies are enjoying a Golden Age right now – long may they reign! Many recent ones show how the child is mother/father to the woman/man. 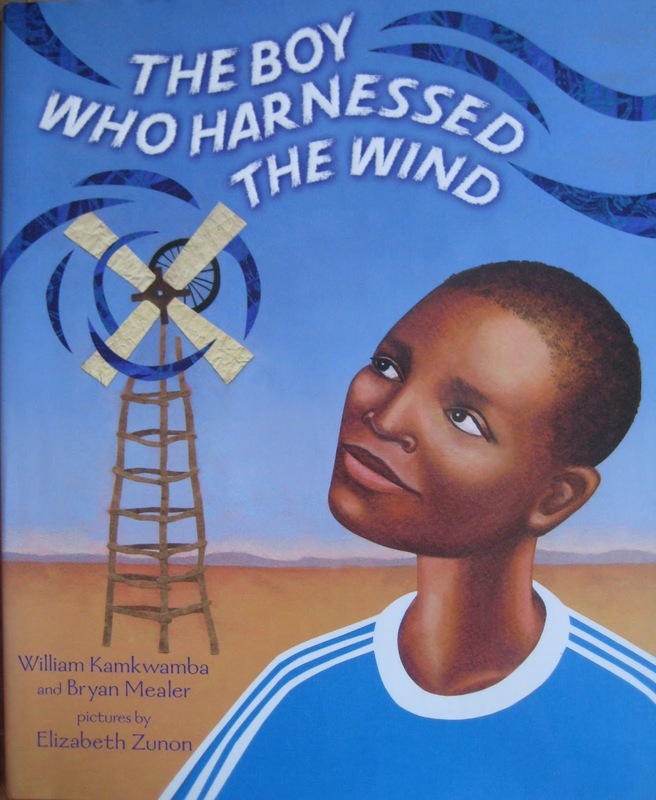 • Perhaps my favorite is The Boy Who Harnessed the Wind by the boy himself, William Kamkwamba, and Bryan Mealer. This is a contemporary story of an impoverished African boy who curiosity and perseverance brought remarkable achievements. There's a YA version as well. • Deborah Heligman: The Boy Who Loved Math: The Improbable Life of Paul Erdos. Words, numbers, and illustrations unite to tell a remarkable story. • Deborah Hopkinson’s A Boy Called Dickens. The author invites us to follow her through the streets of London looking for little Charles. 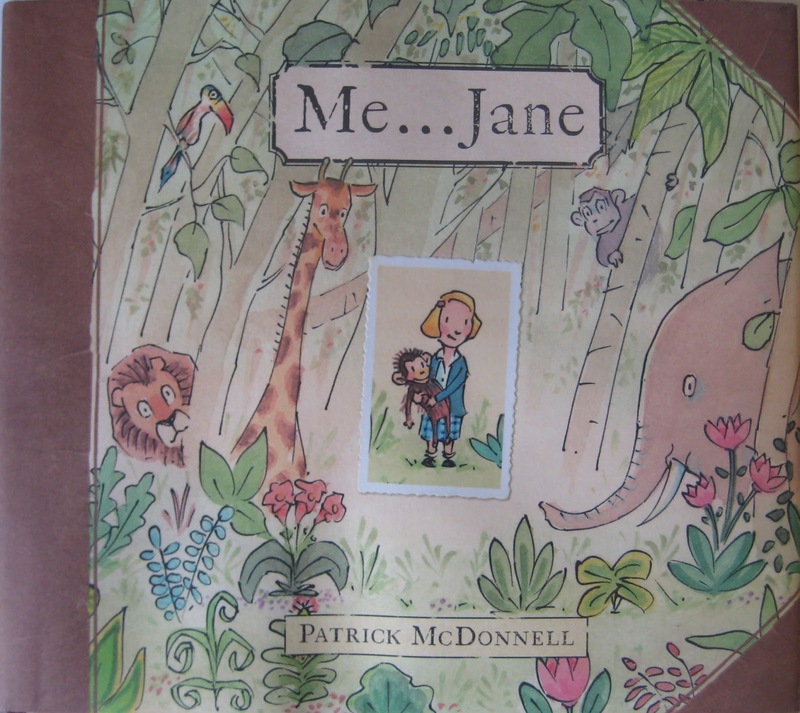 • Patrick McDonnell, Me…Jane. 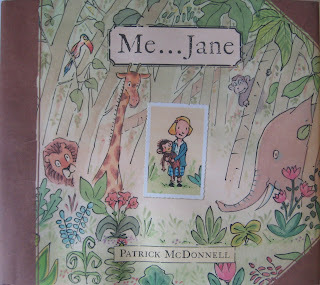 A brilliant example of the genre, for very young children. • Tanya Lee Stone: Who Says Women Can’t be Doctors? : The Story of Elizabeth Blackwell and Elizabeth Leads the Way: Elizabeth Cady Stanton and the Right to Vote. Stone draws readers into the stories by asking “What would you do?.... Who says? 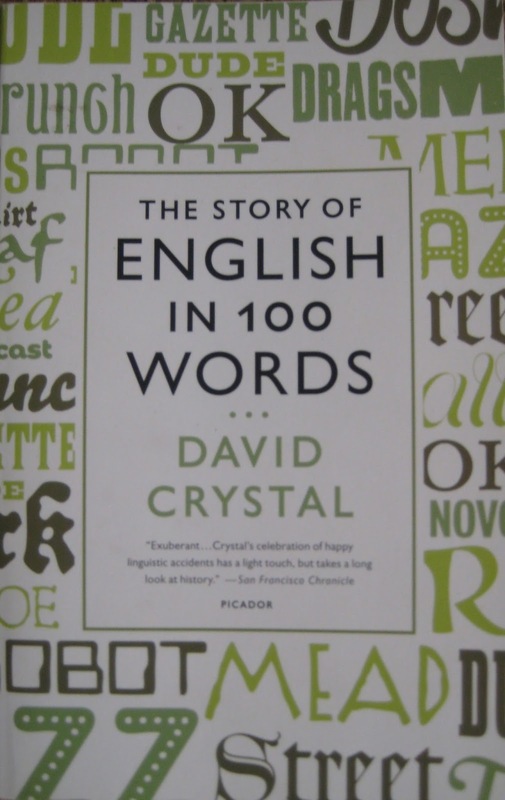 A few months ago I confessed my love of the OED [Oxford English Dictionary] on this blog. 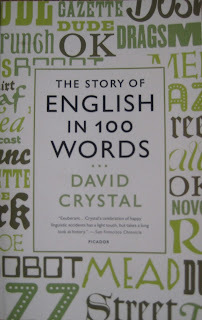 And so I was glued to my headphones this summer listening to David Crystal read his recent book, The Story of English in 100 Words. *OED: 1. A tuft or plume of feathers, esp. for a headdress or as a decoration for a helmet, hat, or cap. To see the list, just click on our new Recommended Book List tab located directly underneath the I.N.K. logo banner and directly above this post. This month we are following the theme of our blogs and the subject is "life-changing" non fiction. 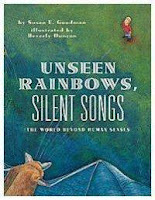 Thus the list includes books that were important to our bloggers when they were young (if they are still in print) and corresponding books from today that have the potential to be just as important to young readers. Feel free to browse and comment. Like our Facebook page, too and add your recommendations there or in the comments below. We hope this inspires people to share, buy, read, discuss, and enjoy more Interesting Non fiction for Kids. 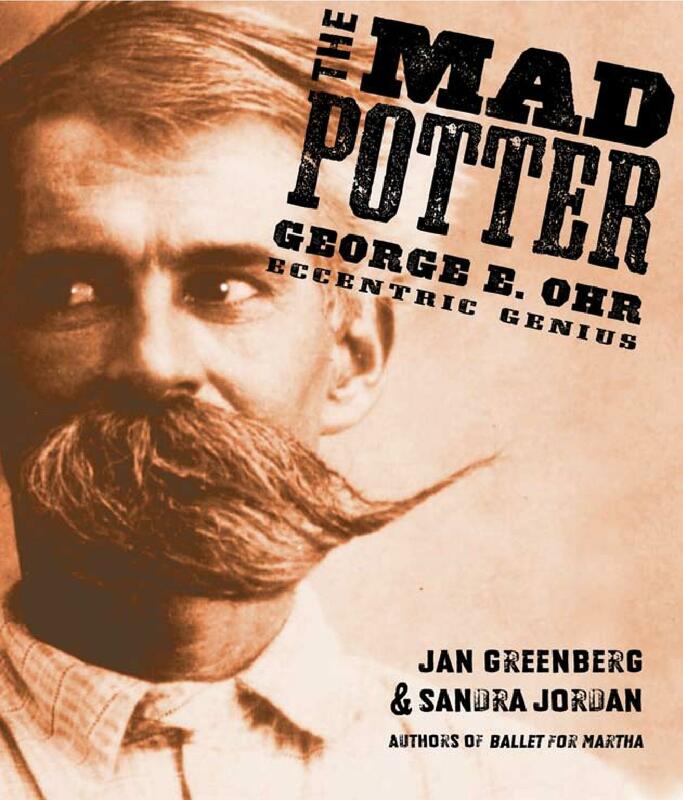 This month's theme, I'm told, is Life-changing Nonfiction. My first thought being that ever-changing, all-too-real Life itself would certainly qualify. That which one avoids and/or tries to understand in order to survive and/or thrive until one is no longer alive. But how? With books, of course. Being sort of an escape artist from way back, who grew up in a large, unharmonious, restless – we're moving again? – family, when I went digging through our crowded bookshelves, I was looking for something that would take me AWAY. For me, generally, that meant fiction. Specifically, any and all books by Maud Hart Lovelace, to whom I was introduced by my cousin Myrna. 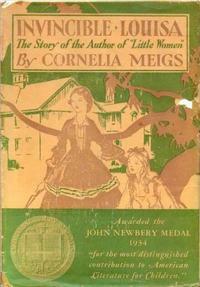 AND the works of Laura Ingalls Wilder, to whom I was introduced by my third grade teacher, Mrs. Nichols. But as Susan E. Goodman so wisely pointed out, Mrs. Wilder was good at explaining how things were done in the mid-19th century. Both L.I.W. and M.H.L. were very good at explaining how ladies - the kind of long-gowned and petticoated ladies I liked to draw, on spare bits of paper and discarded Blue Bonnet margarine boxes – got dressed. Then a couple of things happened. In second or third grade, I woke up to the splendid set of ENCYCLOPEDIA my folks had purchased once upon a time: The New Wonder World in 11 volumes. Pub'd in 1952 by Chicago's Geo. L. Shuman & Co. Loaded with photographs, classic illustrations (I discovered the work of Walter Crane. 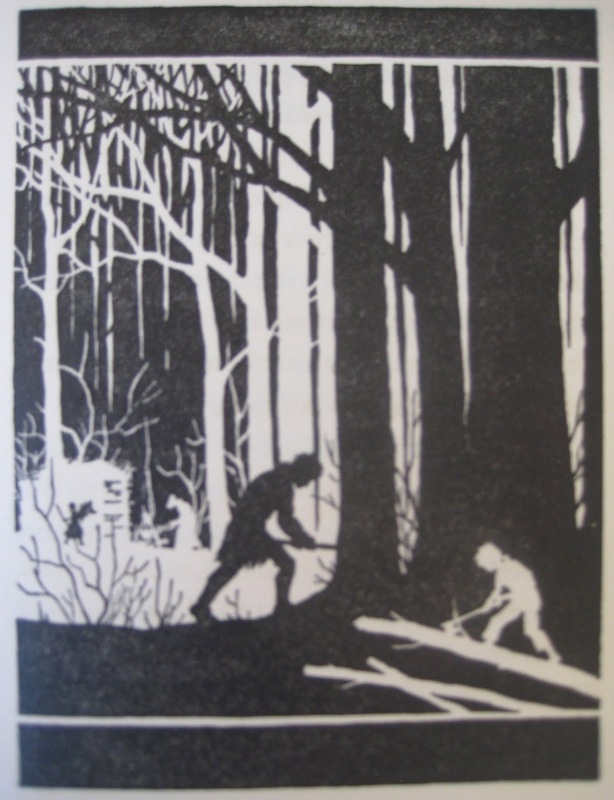 genius pen-and-inkster), poems, folktales, and – oh baybee! – Articles such as "Child Life in Many Lands." Illustrated timelines: "Great Moments in the Story of Modern Europe." (teeny little Martin Luther, angry little people @ 1789, carrying heads-on-sticks, teeny little Hitler annexing Austria) Biographies. Histories. Explorations. Glorious MAPS. All in all, an intoxicating dose of reality. I reveled in them. I took Vol. 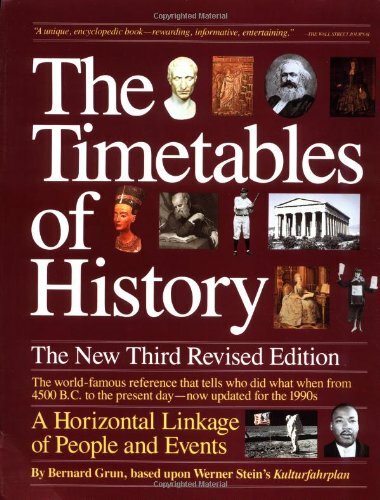 7, The History Book, to school so other kids could revel in it, too. Mom made sure I wrote my name on the endpapers so the book would make it back home again. And it was right around then, that grocery stores hereabouts began offering sets of encyclopedia. 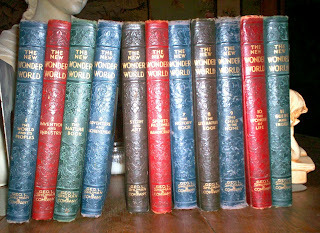 Mom would bring them home from the store, one volume at a time. One of the books that survived a great deal of hard usage. First, came a set pub'd by Golden Book. Then a shelf-ful of green and black Funk and Wagnalls. Walter Cronkite made mention of Korea or Berlin or Sir Edmund Hilary? Look 'em up! Where are they? What happened? When was that? Why? What was the rest of the story? When did so-and-so kick the bucket? What in the heck led up to THAT, for crying out loud? And then, in the summer I turned ten, my mom and dad piled us (myself and three unrequested little brothers) into the old station and we went on a drive to Mansfield, Missouri. To the house where Laura Ingalls and Almanzo Wilder, a.k.a. Farmer Boy, REALLY LIVED. I saw the desk where Mrs. Wilder wrote her books. I met a woman there, who'd known her. For the first time, I saw photographs of the Ingalls family. Found out what they really looked like, at least in that frozen moment. Both wonderful and devastating it can be, to discover an image to go with the stories, the facts, and the associations. I cannot be the only baby boomer who, having seen the Doris Day musical, was startled to see a grainy photo of the genuine Martha "Calamity Jane" Canary, having looked her up in the encyclopedia. Then read what there is of the real story of her hard old life that's come down to us - an ever so much better, more adventurous story, however grievous. Truly life-changing it all was: finding out how to find out. Which only makes you want to find out more. Checking out Westward Movement in the encyclopedia, for one thing, and the history of costume and ladies' fashion, for another. Looking up maps to see where the Ingalls and Wilders lived. What was the world like in the mid- to late 1800s? Who was percolating in that world? Adventuring? Ruling? What painters were at work? What music, what books were being written? By other 19th century women, for instance? My eyes were opened to the works of Lucy Maud Montgomery (then to the M book), to Louisa May Alcott and to Cornelia Meigs' Invincible Louisa. Does anyone need to know that, in the year that Laura Ingalls came into the world, Arturo Toscanini and Marie Curie did too? That North America's transcontinental railroad was nearing completion? That Johann Strauss II wrote The Blue Danube and Karl Marx pub'd Das Kapital? That French troops were pulling out of Mexico and Russia sold us Alaska? That Theo. Roosevelt was a precocious 9-yr-old and the Lakota Sioux still rode the prairies, rumbling beneath herds of bison. No, probably not. But what might first appear to be an encyclopedic collection of factoids, trivial tidbits, and brief introductions is nothing less than a testament of the rich, unimaginably complex context that surrounds, colors, and shapes every individual. A bit of a life-changer, recognizing the juicy, harrowing hugeness of the world in which we humans live, have lived. In this here cockeyed caravan. And what small-minded soul ever chose to classify all of this human richness by what it is NOT? Non-fiction indeed! As a child, I was drawn to novels, especially those in my parent’s library, a small room lined with bookcases, tucked next to our living-room. My brother and I called it “the dreaded piano room,” where we were sent daily to practice. I spent more time curled on the couch reading than banging notes on the piano. Yes, of-course, now I’m sorry. I have become a famous concert pianist, despite my lack of talent. If only… Instead I devoured scintillating novels. such as Forever Amber and Gone With the Wind. When I did read non-fiction (those not assigned at school), it was always a biography of a famous American woman - Dolly Madison, Amelia Earhart, or Clara Barton. 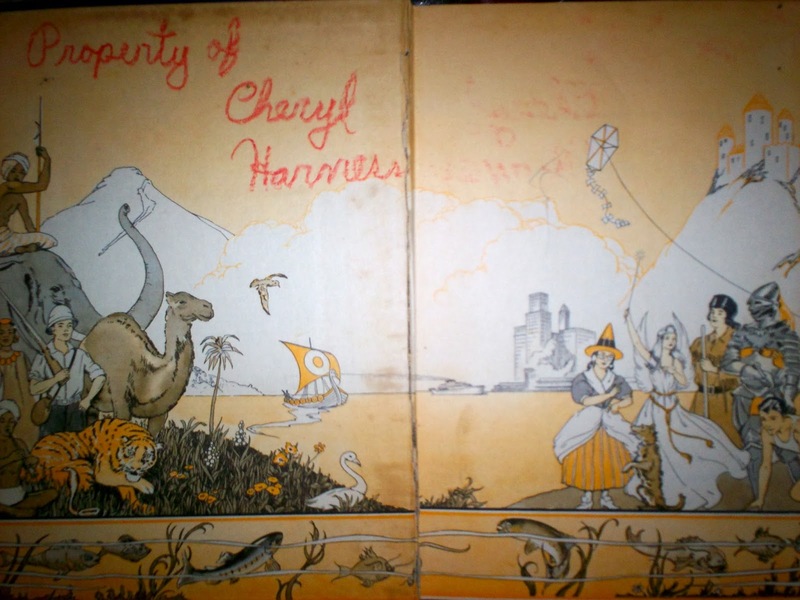 I called these books, long disappeared from library shelves, “those orange books.” They were actually from a series called Childhood of Famous Americans published by Bobbs-Merrill Co. Now I would label them creative non-fiction, as they contained fictionalized scenes and dialogue. 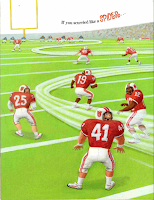 Some were republished by Patria Press in the late 1990’s with a new format and cover design. They are still available. Why did I love these books? I think because they were stories about women who persevered, despite living in a male-dominated culture, women who took risks and dared to follow their dreams. Did I notice then that many of these "famous women" were wives of American presidents? The message was subliminal but I got it. 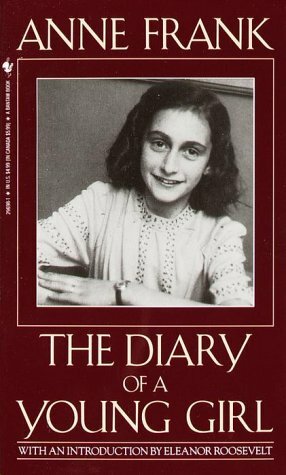 The book that seems life-changing to me now, as I look back, is The Diary of Anne Frank, which was translated into English in the 1950’s. I attended a private girls’ school in St. Louis. There were very few Jewish girls in my class. Despite the fact that the Holocaust had occurred in our very recent past, there were no references to it in our classes. 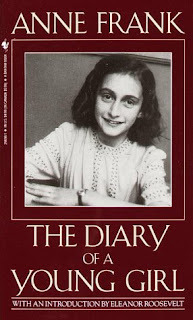 I received The Diary of Anne Frank as a gift from my uncle. Not only did the story startle and move me, it also gave me a sense of my Jewish heritage. By the time I graduated this memoir had captured the attention of the whole world and my own small world, as well. But when I first read it, I felt as if I had somehow discovered it. My writing partner Sandra Jordan wanted weigh in with her favorite, as well. “My parents both loved to read and our book shelves were a hodge podge of novels, poetry, and old, battered volumes that no one remembered buying. Yard sales perhaps. Of course I read everything. For more books that deal with “major epidemics,” read Jim Murphey’s I.N.K. blog! Sandra and Jim ought to get together!! The non-fiction book about art that inspired me to write my own is H.W. 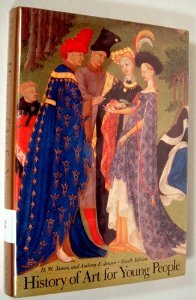 Janson’s classic introduction to art in the Western World, History of Art for Young People (revised in 1997 by his son the art historian Anthony F. Janson). 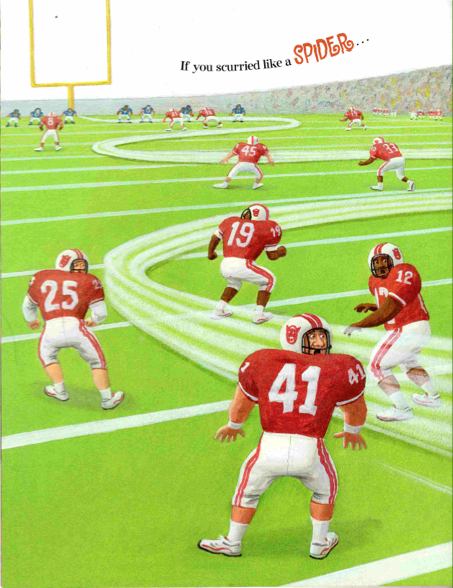 This is the cover of the copy I have from some years ago. 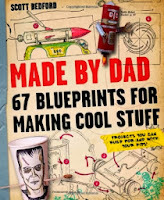 I learned a great deal from this book, but I also wanted more, more info, more detail, more story. I realized that a book that focused just on looking at contemporary American art would be a complement to Janson’s encyclopedic volume and fill a gap in the bookshelf. Janson’s History of Art is just the beginning. Since The Painter’s Eye: Learning to Look at Contemporary American Painting and its’ companion book The Sculptor’s Eye: Learning to Look at Contemporary American Sculpture (with Sandra Jordan) was published, we've moved on to write many books about individual artists, including an architect, a choreographer/dancer, and a ceramicist in our new book The Mad Potter. In addition many wonderful books for young readers about the arts have been published in the last fifteen years. I am compiling a list of recommended books for young readers on all the arts in America. Some of my favorites have been written by our I.N.K. bloggers I’ll share what I’ve gathered in my May I.N.K. post. I might have been born reading. I was that kid struggling to walk while carrying a tower of books out of the library like so much firewood, stacked in my outstretched arms so high I had to peer around the side to see where I was going. The kid under the blanket with the flashlight, thinking I was putting one over on my parents who were, in actuality, too smart to stop a kid from reading past her bedtime. The kid under a tree, bike propped against its trunk, book bag on the ground with well-worn titles tumbling out, waiting to be re-read. The girl who spent many after-school hours with her mother in the library, as she happened to be the elementary school librarian. 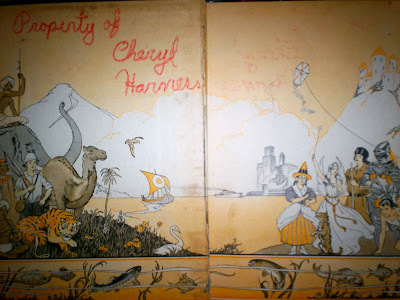 Images of book covers are fixed in my mind’s eye, a slide show of exciting childhood companions. If I was living inside M.T. Anderson’s FEED, perhaps I could output a retinal scan of those cover memories and attach them here to show you, but alas, I cannot, nor did a World Cat search produce satisfying results. A lot of those books were fiction. But more of them were not. Not fiction. Otherwise known as nonfiction, even though that label never made intuitive sense to me as a kid, and still doesn’t. They were books about the Jamestown flood, the Donner party, elephant hunting in Africa, and the chemistry of a lemon. Some of those books—such as THE LAST FREE BIRD—were written by my father, an education professor who also authored a bunch of children’s science books in the 60s and 70s. I don’t recall that as being something I was particularly impressed with; rather it was a matter of fact. One of the things he did. And by extension, something that was simply possible for a person to do. When you grow up around books and by extension, discussions of books, you become a literary person. When you are asked to bring a new word to the dinner table, or a topic to the breakfast table—and both of those meals are had together with conversation, you become a literary person. I didn’t conceptualize any of that as life changing. But it most certainly was. I write children's books because I truly believe that a book can change a child's life. I know, because it happened to me. Twice. At least. And on that day, when I was six, as my mother read What is a Butterfly to me on my bed (I honestly remember this moment--my back was up against the wall, my legs too short to reach the other side of the bed), I discovered that a book could teach me things, a book could help me understand how the world works, a book could make me smart. It was my own personal (excuse me) metamorphosis. I returned What is a Butterfly and came back home with What is a Frog? then What is a Tree? and there was a whole series! That book, and series, opened up the world for me. 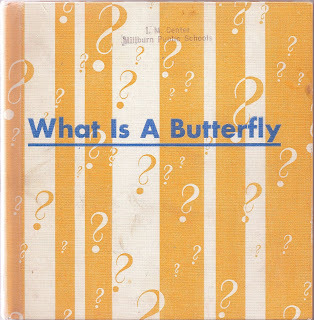 And years later I would write a book called From Caterpillar to Butterfly, in the months just after my mother died. That book is part of a wonderful series called Let's Read and Find Out Science. From Tadpole to Frog by Wendy Pfeffer is one of my favorites. I would recommend it and that whole series for books that can change a kid's life, and open up worlds! The second time a book changed my life was in college. But I'm going to talk about it because I was still a kid. I was under 20. 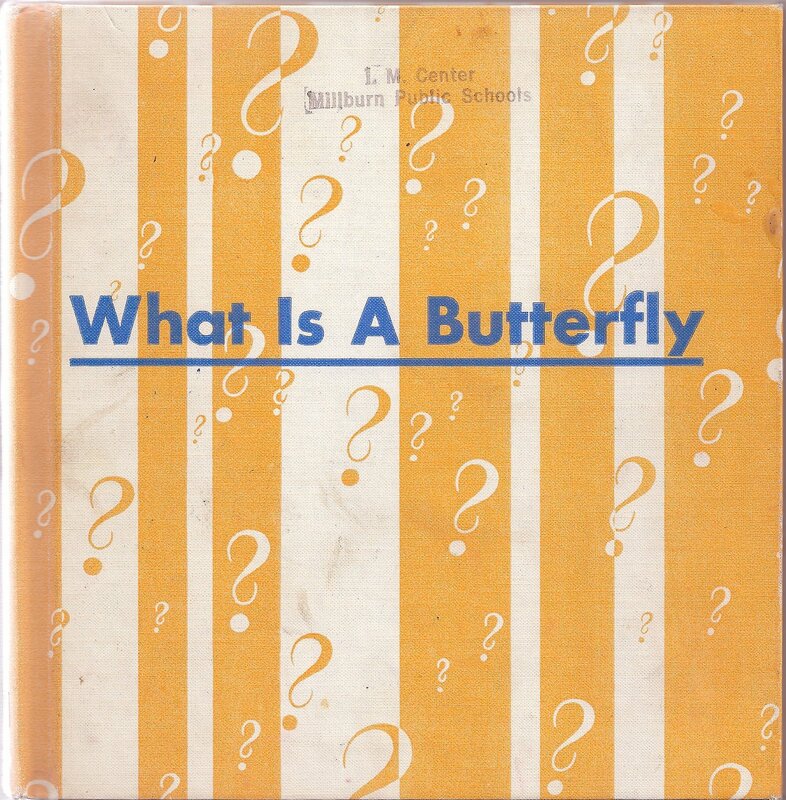 And in a very significant way it continued what What is a Butterfly started. It opened up whole new worlds to me. Peyote Hunt? Yes. Let me explain. In doing so I'm going to be completely honest, and I hope I will not offend anyone. I grew up Jewish. Although we were Reform Jews, we were what I would call observant Reform Jews. Sabbath dinner every Friday night, services most Friday nights, etc. I had many non-Jewish friends, but I was ensconced in the Jewish world. And I believed it was THE world. The RIGHT way to live and be. I felt kind of sorry for people who weren't Jewish. Take out the "kind of." I felt sorry for them. I knew we were right. It's not that I tried to convert anyone (oh, no, Jews don't do that! We're right about that, too! ), but I just felt like our way was THE way. Then I read this book by anthropologist Barbara Meyerhoff. And it was as if not a light bulb, but an entire stadium full of lights lit up above my head. These Huichol Indians believed in their rituals and rites and peyote as much as I believed in mine. Who was to say I was right and they were wrong? Like a thunderbolt from above, I knew the answer was NOT ME. Not any more. And no, I wasn't upset. I was happy about it. Thrilled, even. I realized then, at the ripe age of 19, that there was a whole world out there to discover--worlds not only of science and nature, as those early books had taught me, but also worlds of religions and beliefs. And non-beliefs. I majored in religious studies. To this day I am fascinated by other people's beliefs, and foreign worlds, both religious and secular. (I'm fascinated by plumbers, for example. And mathematicians.) I love peeking into other people's lives. And I especially love celebrating the diversity on our planet. Reading Peyote Hunt made this happen. This led, eventually, to writing books about religion, and religious beliefs. I wrote ten books in a series for National Geographic (Holidays Around the World), and after that about a marriage between two people of different beliefs: Charles and Emma: The Darwins' Leap of Faith. You never know which books might open up worlds for a child. That's why it's so important to keep all of our libraries open, and to keep all books on the shelves. Open libraries lead to open minds. 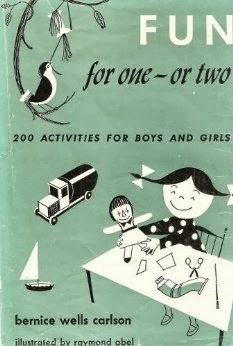 We had lots of kids’ books at home—nonfiction, not so much. 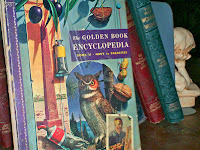 The World Book, (see my blog about it), mythology and poetry (oddly categorized as nonfiction), and what I now realize was a facts-of-life book although that did not compute at the time. Does loving the passages of the Laura Ingalls Wilder series that explained how things were done back in the mid-19th century count? Inspired by Laura, I tried heating maple syrup and pouring it on snow to make candy. I guess you have to live in Wisconsin or closer to the North Pole for that to work. And ever since I learned what happened to the tongue of the boy who licked a freezing cold pump handle on a dare, I’ve never been tempted. 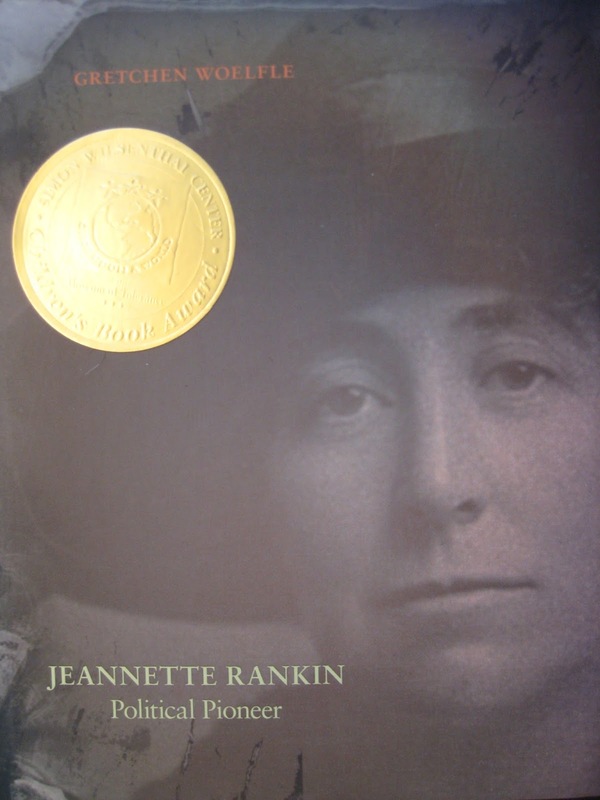 As for my life-changing children’s nonfiction book, I read it many years later. I’d been a freelance writer for years and was tired of producing ideas and writing styles that fit the editorial personalities of my client magazines. 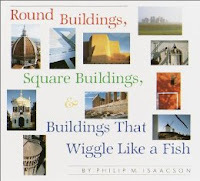 Then I read a book because I was intrigued by its title: Round Buildings, Square Buildings, and Buildings that Wiggle Like a Fish by Philip M. Isaacson. I was stunned. An art critic, Isaacson used lovely, lyric language to write about architecture, but also the abstract ideas of beauty and proportion, and how various shapes and forms make you feel. I didn’t know you could write that way for kids. But suddenly I wanted to. 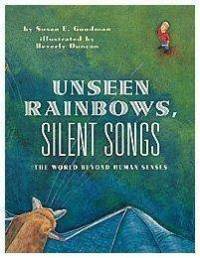 My first book, Unseen Rainbows, Silent Songs, used vignettes of animals to explain that another world—filled with very different colors, sounds, smells, tastes—lay beyond the realm of our own senses. Thank you, Mr. Isaacson. I’ve written many books since and loved almost all for different reasons. Yet, the ones that try to introduce kids to mind-bending, big ideas in an accessible way are very close to my heart—On This Spot and All in Just One Cookie, for example, and It’s a Dog’s Life. In closing, I’d like to take a moment to turn our topic on its ear and mention the wonderful experience of being the one who affects a reader’s life to any degree. Authors put their heart into a book often only to feel it has gone into the void (reviews, feedback at signings or school visits not withstanding). Occasionally, if we are very lucky, we hear about how our books affected someone else—in ways we couldn’t imagine. 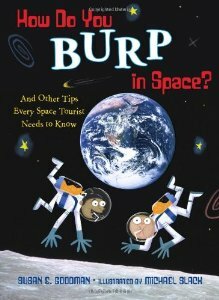 Susan: a song in praise of your How Do You Burp in Space? Not only have my kids loved every page of this book, which is right up their collective alley, but yesterday I had to take both kids to get a workup at pediatric cardiology. This was a workup their pediatrician insisted on due to my husband's family history… I was stressing out over how to explain, without worrying the kids, why they had to have an EKG, and why they were being taken to Boston Children's...I did not want to have to get into the terrifying subject of an uncle neither they nor I ever met, who died in his sleep years ago... So I started with, "I'm taking you guys for a checkup, one of many checkups we're having before (SG-the long trip the family is taking). No, not to your regular doctor. No, to a different kind of hospital." They asked, of course, if there would be shots. I said no, but there would be an EKG. And Sarah lit up and said: "Then I can go into space!!!" She knew from your book that this is a necessary test, pre-space flight. And then, Susan, the kids did not ask a single thing more about it. For them, this whole ordeal (which was so emotionally wrenching for the adults) was just a chance to leap one of the hurdles between them and space travel. And yes, to play with EKG stickers and stick them on each other's faces. Thank goodness for books. Seriously, you helped me through a very fraught experience. Yes, thank goodness for books—and, for the gift she gave me!